Wasting Time (feat. Tyra) by CANVAS. Canvas on Spotify: https://open.spotify.com/artist/51Lgfz39Vj7I86GQJY5TUz Wasting Time official video to be uncovered. 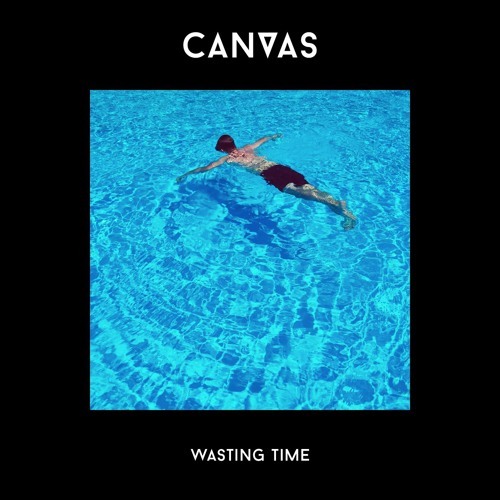 Swedish electronic outfit CANVAS make a welcome return with the release of their new single ‘Wasting Time’ featuring vocalist Tyra through House Music With Love on April 14th 2017. Featuring CANVAS’ trademark production sound, this dynamic track features vocals by upcoming Swedish vocalist Tyra. ‘Wasting Time’ will be the last release by CANVAS as a duo made up of Swedish brothers Robin and Andreas Schulz. Moving on solo as CANVAS, Robin has already previewed some of his new works with a bootleg mixtape featuring reworks of Shura, Tove Lo, Astrid S, Duvchi and CAZZETTE. Listen here: https://soundcloud.com/wemakecanvas/canvas-remix-mix Speaking about the track Robin explains, "It feels so great to finally release this track. I hope you guys will like it as much as I do. This track represents the end of an era for CANVAS as you know us. Andreas decided to leave due to other priorities in life and we both thought that this is the best decision for us. There are no hard feelings at all and I will keep pushing CANVAS to new heights. I am super exited for the future and I can't wait to see how this new track and video will be received. Love you all!" ‘Wasting Time’ is the follow up to previous releases ‘You & Me’, ‘Another Time’ and ‘Spell It Out’ which picked up online support from the lines of: Stereogum, Dancing Astronaut, Your EDM, The Line of Best Fit, Hilly Dilly, The 405, Discobelle, Kick Kick Snare, Idolator, Wonderland, The Burning Ear, Notion, La Belle Musique, CLASH, and many more. Plans are afoot for CANVAS’s debut album release later in 2017. For more information or promo requests for CANVAS, please contact: https://soundcloud.com/wemakecanvas/ ​https://www.facebook.com/wemakecanvas ​https://twitter.com/wemakecanvas ​http://www.housemusicwithlove.com ​http://facebook.com/hmwlpage CREDITS: Made by: Eric Ivar Persson, Mohave Media Music & lyrics by: Robin & Andreas Shulz, Tyra Ivarsson & Fredrik Samsson Ⓟ & © 2017 House Music With Love. All Rights Reserved.